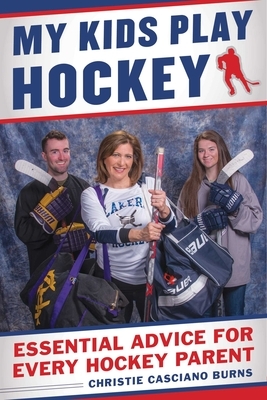 Striking a Balance between being Coach and a Parent Whether your kid shoots a puck, kicks a soccer ball or swings a baseball bat, Christie's sound and sage advice should be required reading for all sports parents. Because when it comes to keeping your head in the game, this mother definitely knows best. Christie Casciano Burns is hockey mom and a television news anchor in Syracuse, New York. She has been an award winning reporter and anchor for WSYR-TV since 1986 and also provides morning news updates for the popular B104.7 country radio station. She is the author of two children's books about hockey. Christie lives with her family in Syracuse, New York.